Match the colors and jump the bubbles. 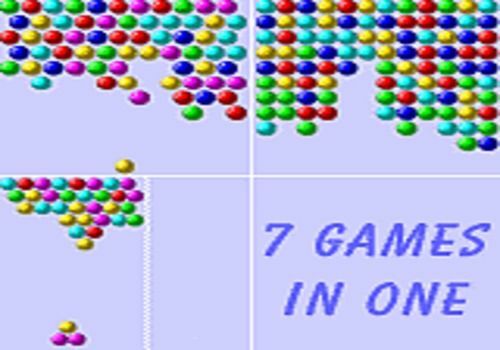 These games are as addictive as Tertris and much more fun! All games from the Bubble series have combined into one! Now you can install these games - Bubble Shooter, Bubble Thriller, and Bubble FlyTrix in one go, and they will use less than a hundred KBS of RAM. This is a version for color devices. Now you can choose: download, try and register these games one, or in a single package. Online competition for the best players. Has since given way to games like Bubble Poke on Android, available on the site.